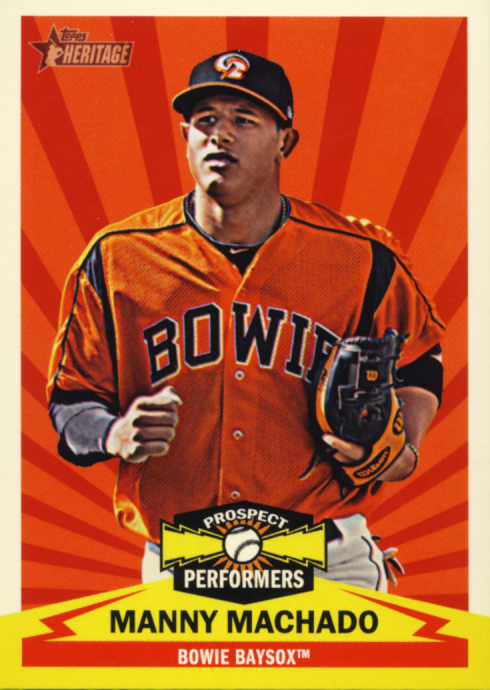 Same design as this year’s Heritage, which is based on 1963 Topps Baseball cards. 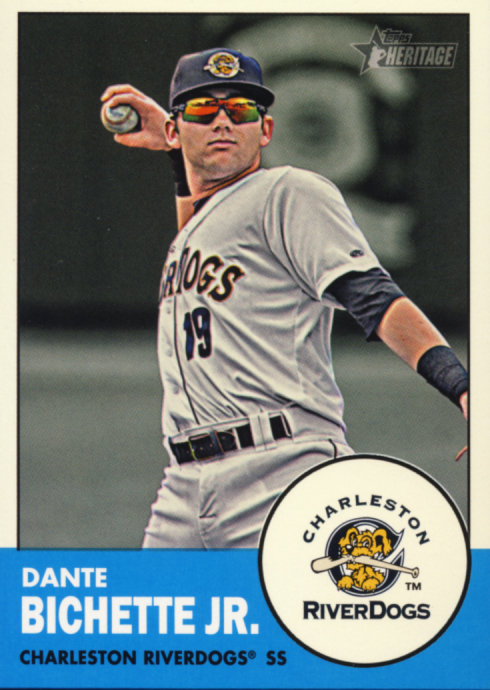 The photography is excellent. 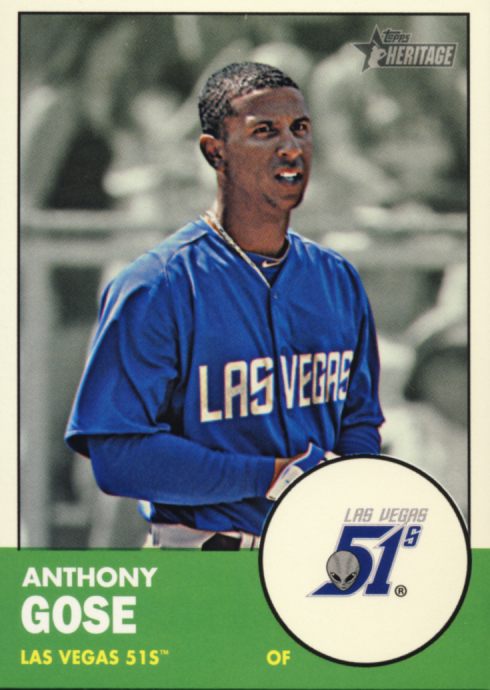 The SP photo variations are much easier to detect compared to the MLB version of Heritage. 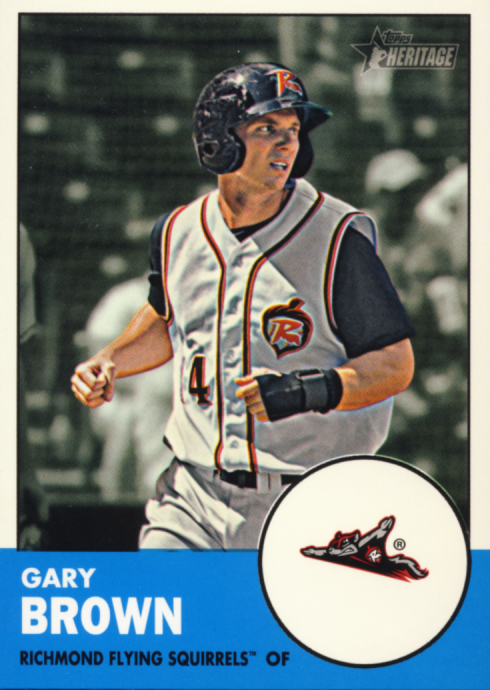 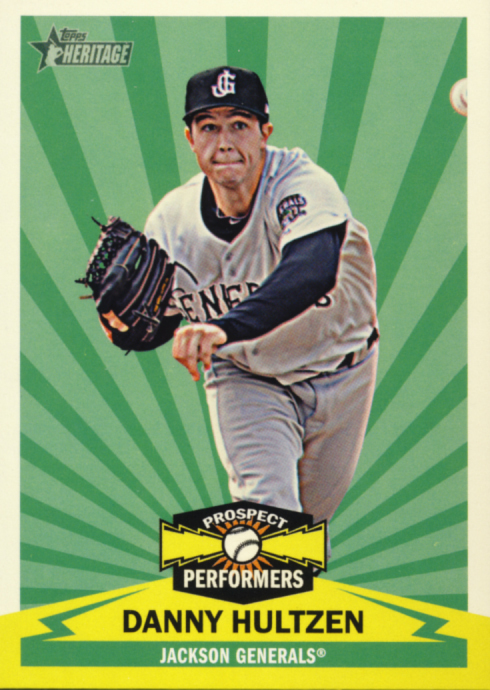 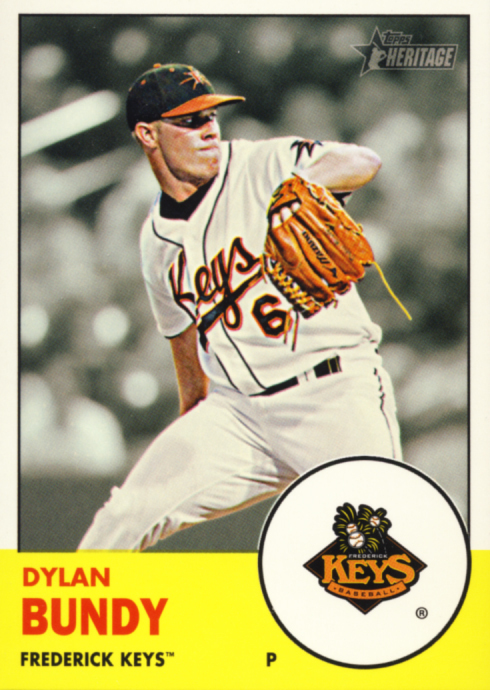 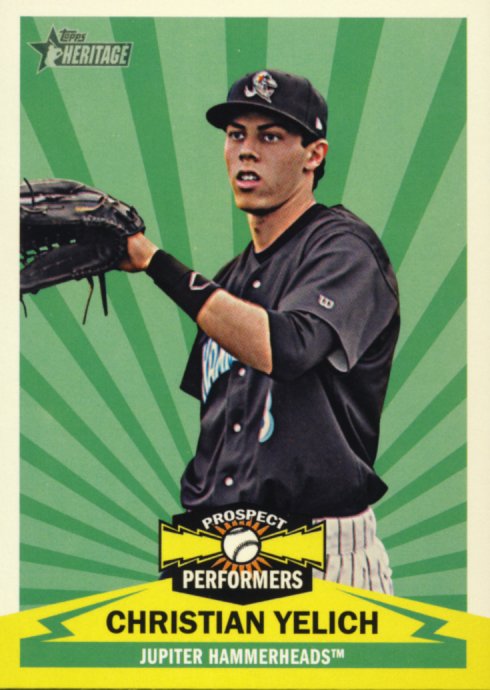 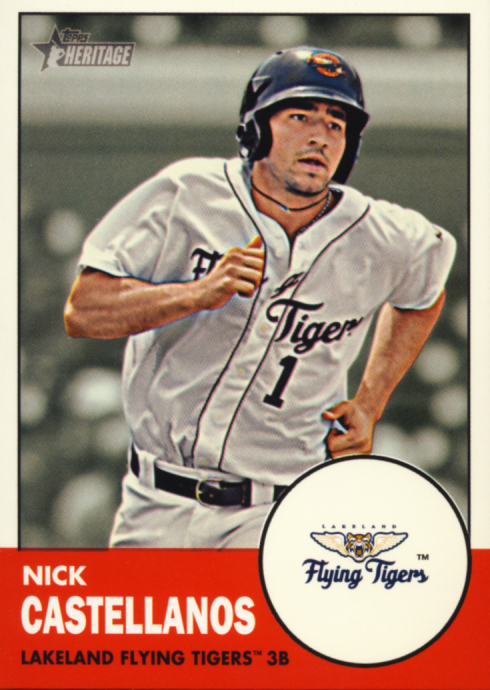 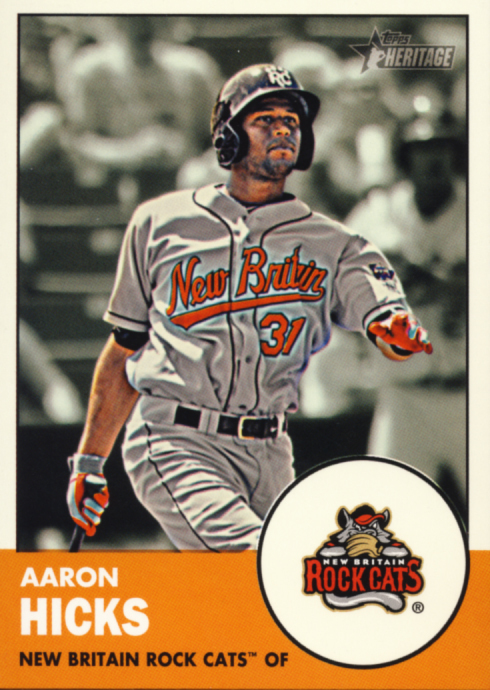 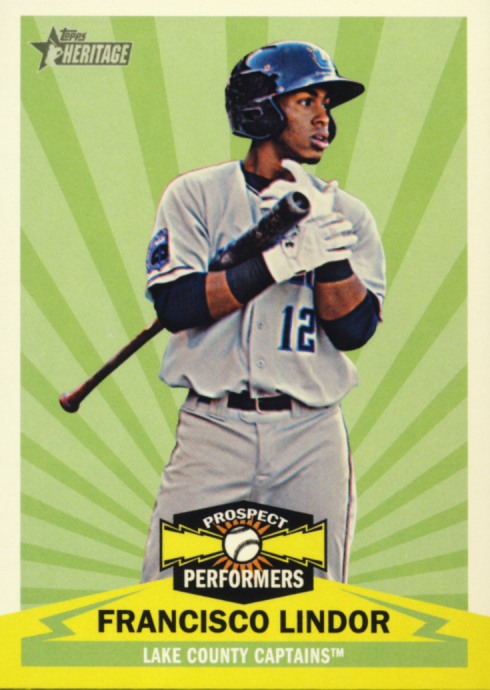 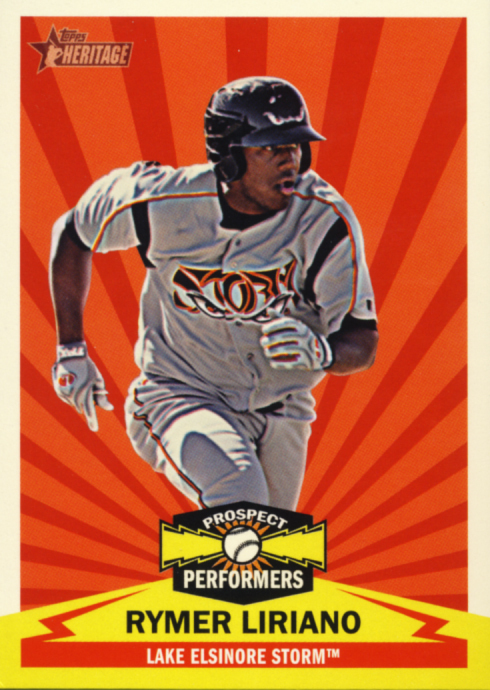 Prospect Performers is a great idea for an insert set but falls short on the occasions when the player’s same exact photo as their base card is used. 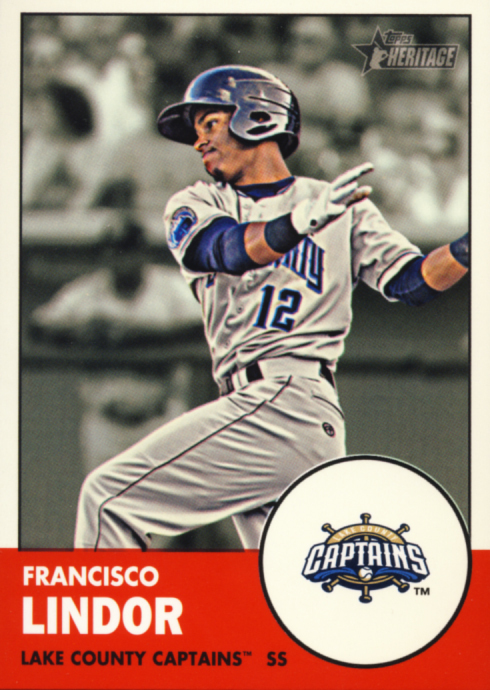 The hat logo cards are a nice addition this year. 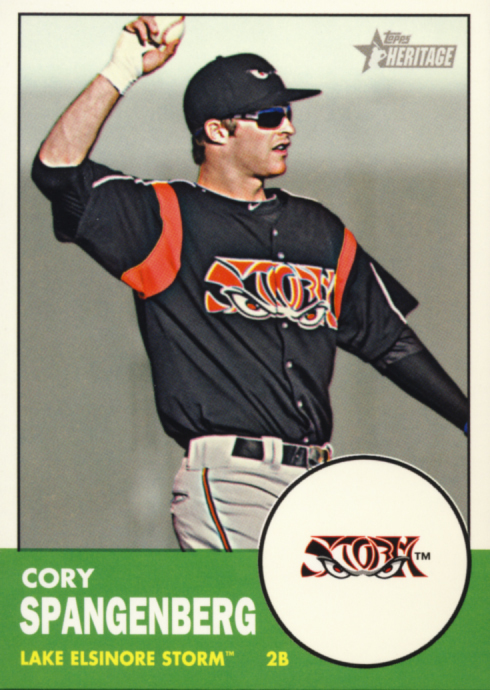 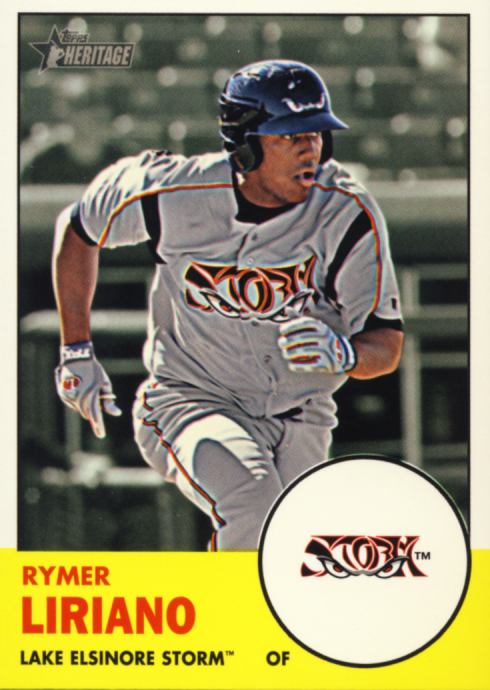 Gone this year are the Heritage specific SPs of last year like the tint cards, which are not missed. 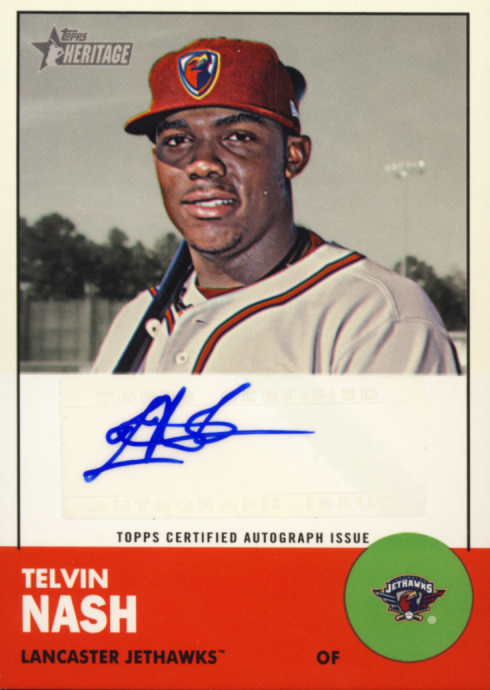 Again this year the auto cards seemed to have been designed for on-card autos, but the clear stickers work well. 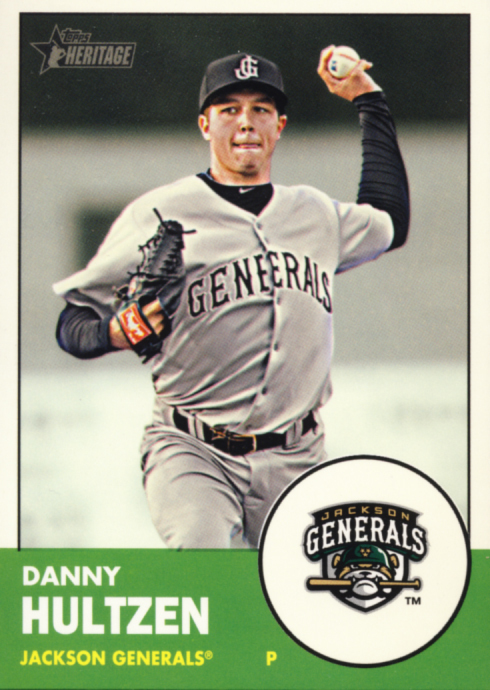 Next year if stickers are used again, instead of their placement areas being a plain white oversized box, some finesse with the design would be appreciated. 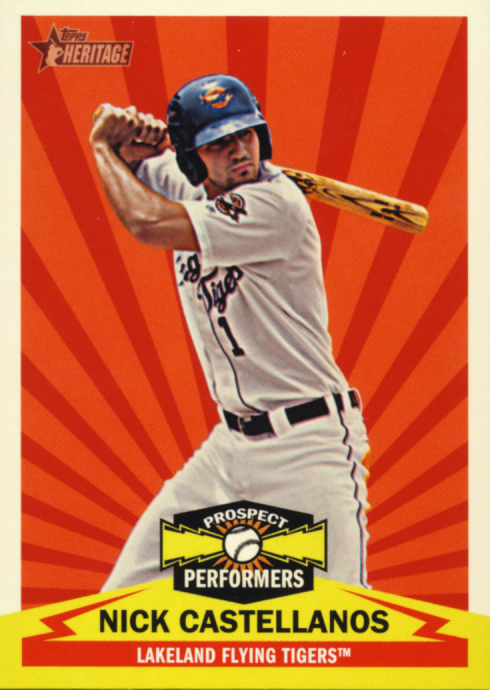 Base cards here are 200 in number, but with some of the finer players in the SP range, you really have to call it a 225 base car set. 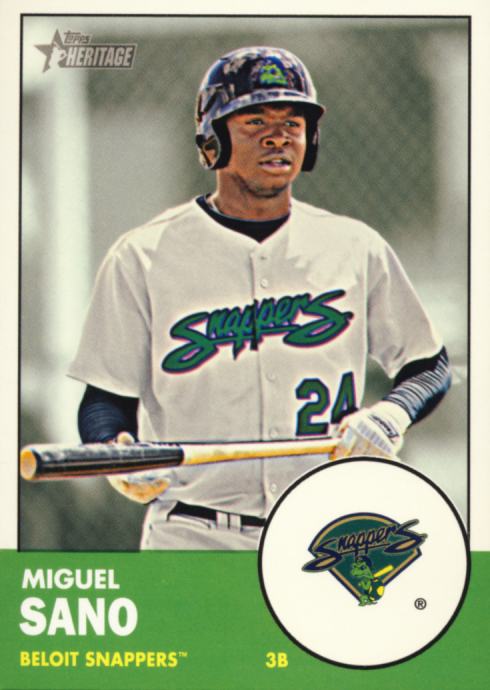 As mentioned before, this year in the minors was fantastic so there are a lot of quality players to be had here. 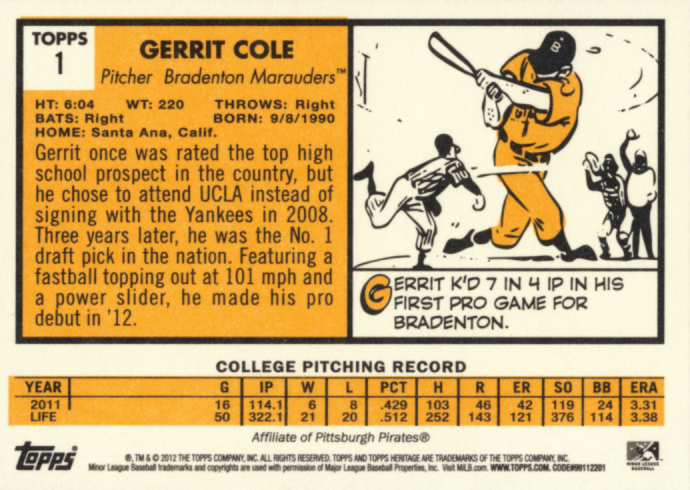 This is a really nice group of hits here. 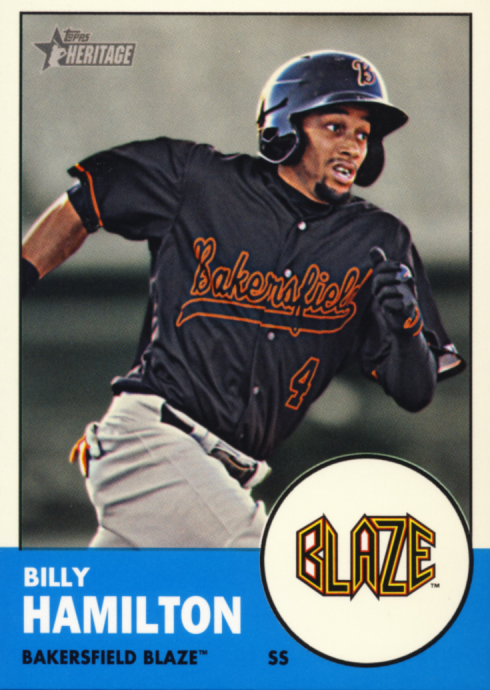 Getting Billy Hamilton to sign more than just his short numbered relic cards would have been enough to vault this set to near perfection after his record setting 155 stolen bases this season. 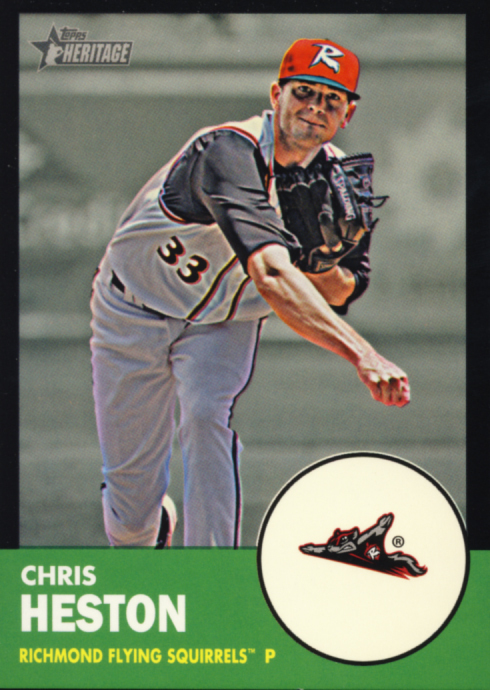 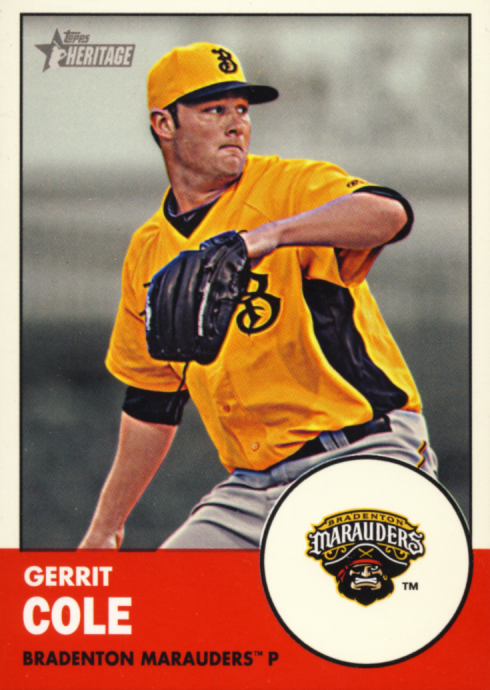 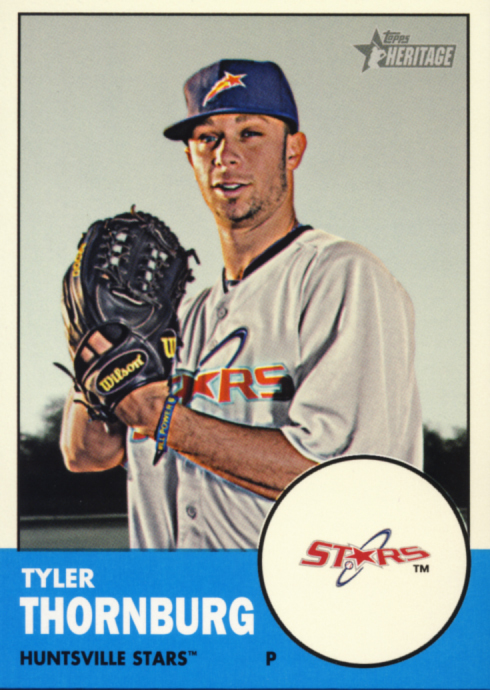 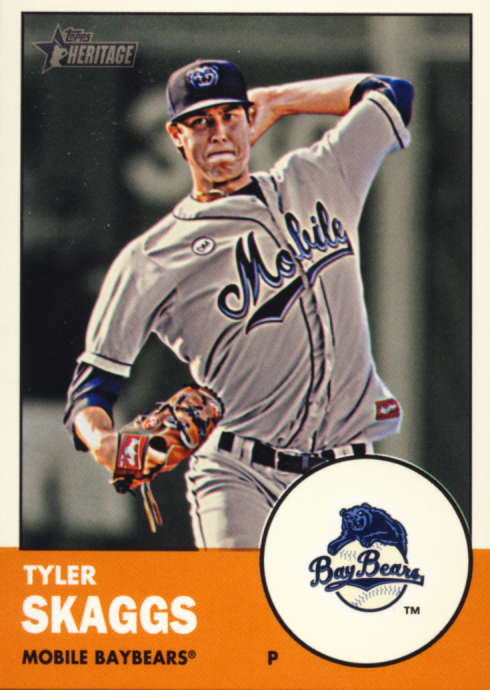 But that is a minor consideration with the addition of the Minor League Hat Logo relic cards, the full game-used item redemptions and the Make Your Pro Debut promotion that give you a chance to win a one day contract with the Double A Corpus Christi Hooks and your own Topps card in next year’s release. 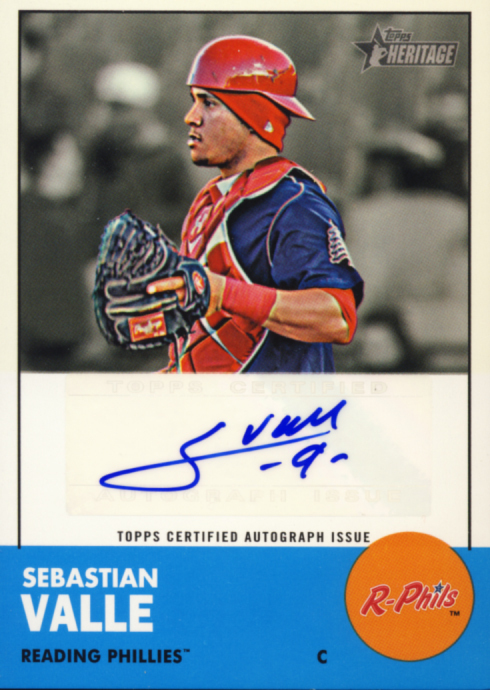 If it was Topps intent, an I think it was, to prevent pack searchers from easily detecting the Hat Logo cards by making them redemptions, it is much appreciated and a great move on their part. 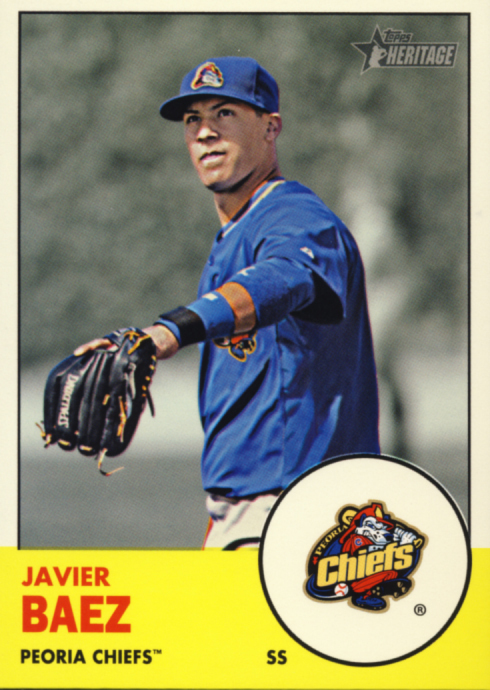 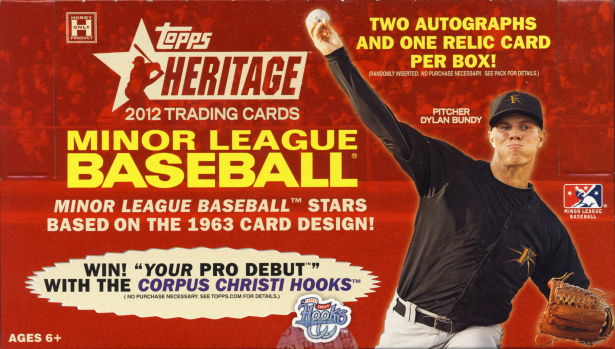 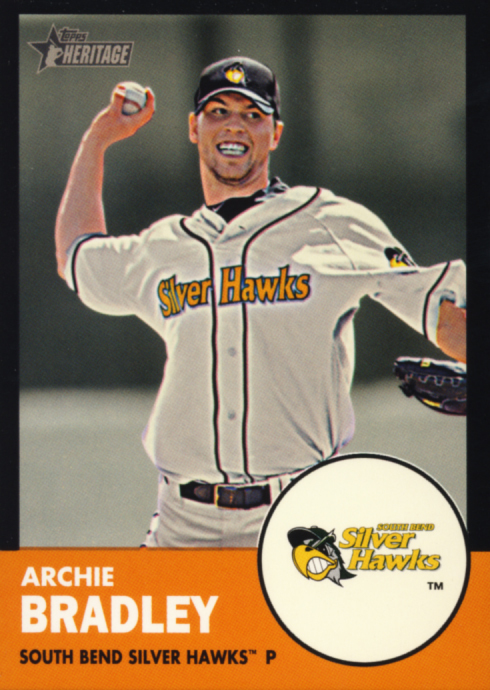 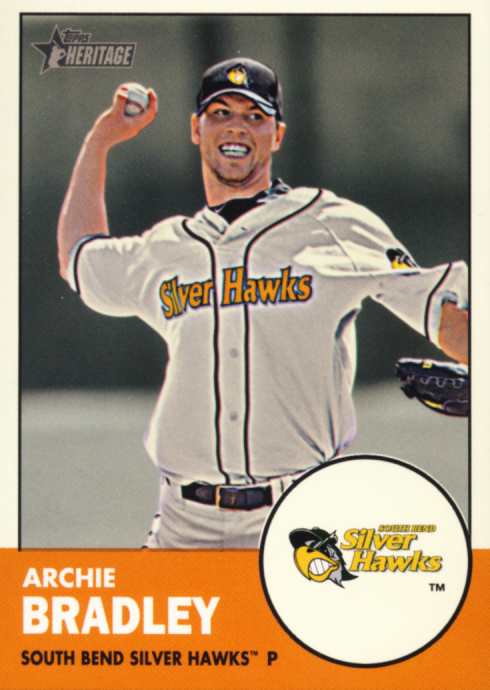 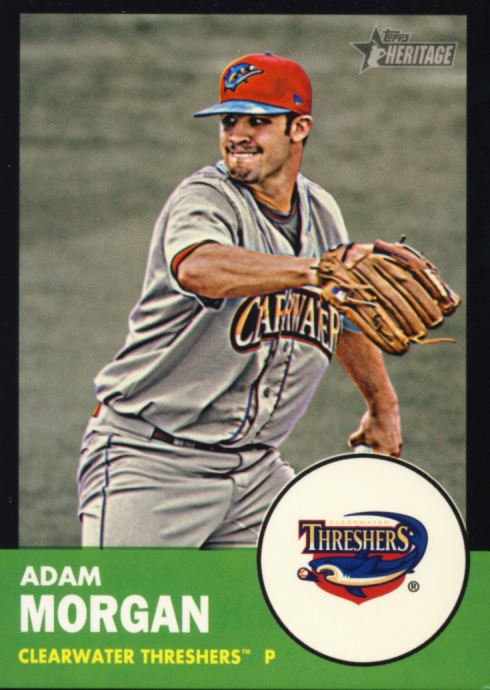 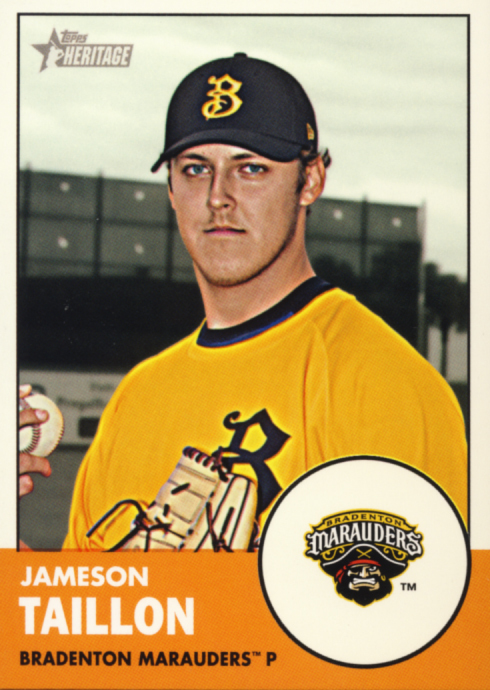 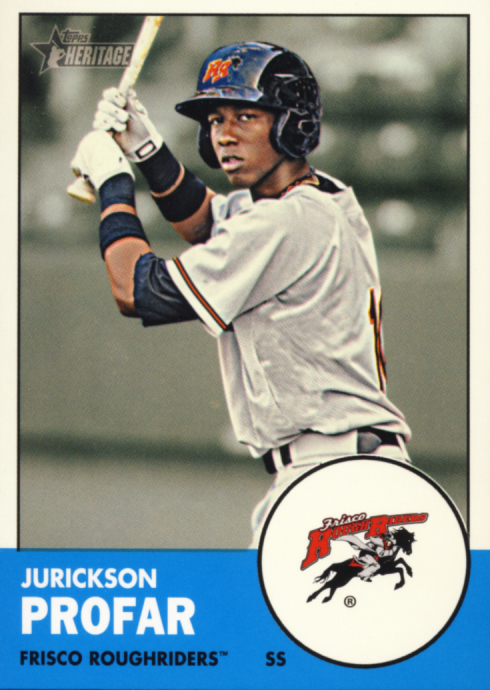 2012 Topps Heritage Minor League Baseball is a must collect for fans of Minor League Baseball and regular collectors looking to get an early jump on some up and coming prospects..
Love the idea of redemptions if it reduces pack searching, as long as the redemptions don't take a year like Upper Deck did sometimes.